Let's take a quick view how we can add NFS datastores to ESXi host to manage vSphere enviornment. 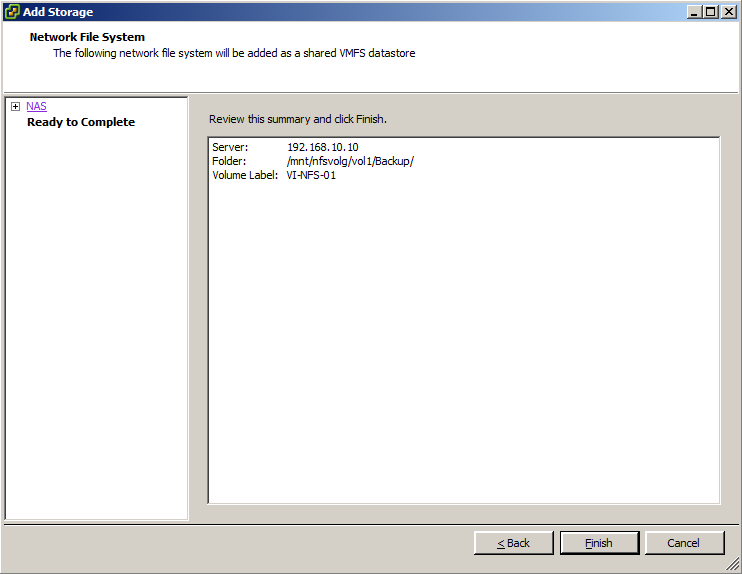 Before adding NFS datastore at ESXi host end, make sure that volumes and shares have been configured at storage end. In our scenario, we have used Openfiler open source appliance to manage NFS storage. 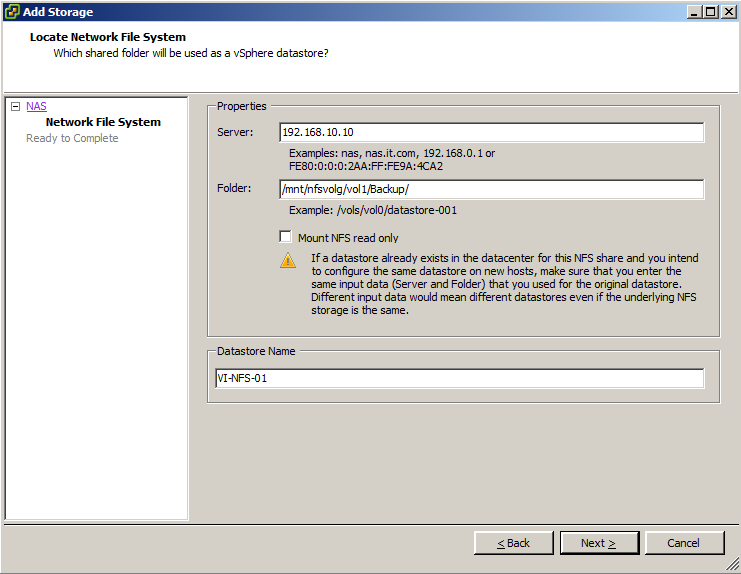 Refer to previous article Configuration Guide for Openfiler to know about How to configure NFS Volumes. #Reference: Refer this article What is NFS? 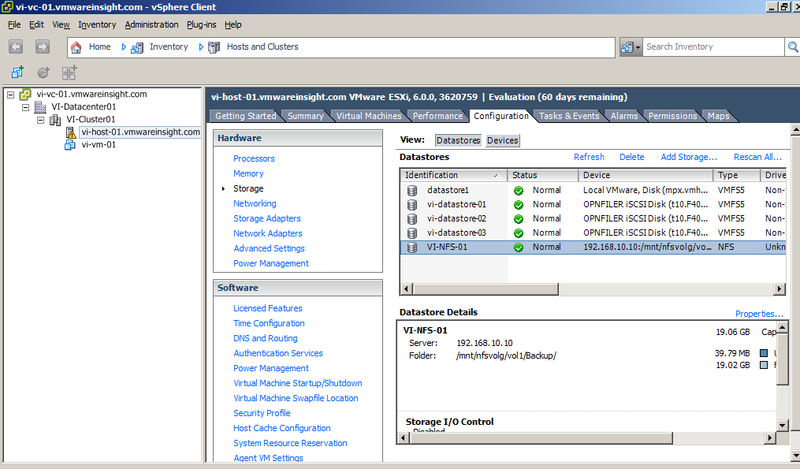 - Login to Virtual Center of ESXi Host using vSphere Client. Select Host on which NFS datastore is required. - Go to Configuration Tab, Click on Storage in Hardware section. Click on Add Storage. - Add Storage wizard will appear. 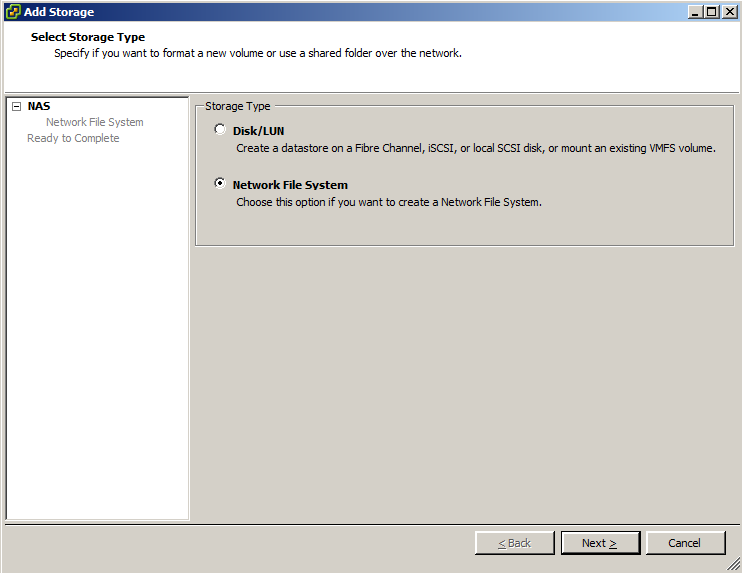 Select storage type as "Network File System". - Provide required information as shown below. - Review the summary and Click Finish. - Go to Storage Section in selected Host. Now you will be able to see newly created NFS datastores.